We are one of the leading manufacturer and supplier of superior quality Latex Surgical Gloves that are made from pure and natural rubber. These gloves have been great assistance for surgeons and medical practitioners because of its comfortable designs and availability in different sizes. 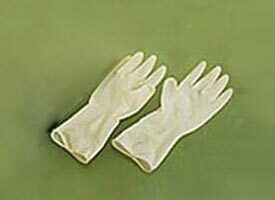 These latex surgical gloves have been a great hit in the market because of its unbeatable features like.